El DC Prime, el sueño de toda la vida de los propietarios Mark Craig, Kevin Cox y Rick Crowe, ofrece un menú inspirado, un ambiente agradable y un servicio superior. El nombre del establecimiento fue elegido en honor a la rica herencia de la capital de esta nación, así como a los privilegios característicos de Estados Unidos de libertad y elección. La misión del restaurante es ofrecer excelencia gastronómica y culinaria a todos los comensales. Solo se sirven filetes de res de calidad USDA Prime, el 1 % superior de toda la carne de res de Estados Unidos. La selección supera los más exigentes estándares de los comensales, que incluyen el buen sabor y la ternura de la carne. Toda la carne de res utilizada es suministrada por Consumers Meat Packing de Chicago, IL, proveedores de muchas de las mejores churrasquerías de los Estados Unidos. Los mismos estándares de calidad superior se aplican en los mariscos frescos, suministrados directamente por North Coast Seafood de Boston, MA. Las langostas enteras de las frías aguas de Maine y los filetes de robalo Mero son enviados de forma exprés por Honolulu Fish Company, Honolulu, HI. Ur fresh seafood is sourced direct from north coast seafood of boston, ma. Our whole lobsters, from the cold waters of maine and our mero sea bass steaks, known for their mild and sweet flavor, are overnighted from honolulu fish company of honolulu, hi. Service was incredible. Great steak/scallops. Definitely pricey but worth it. 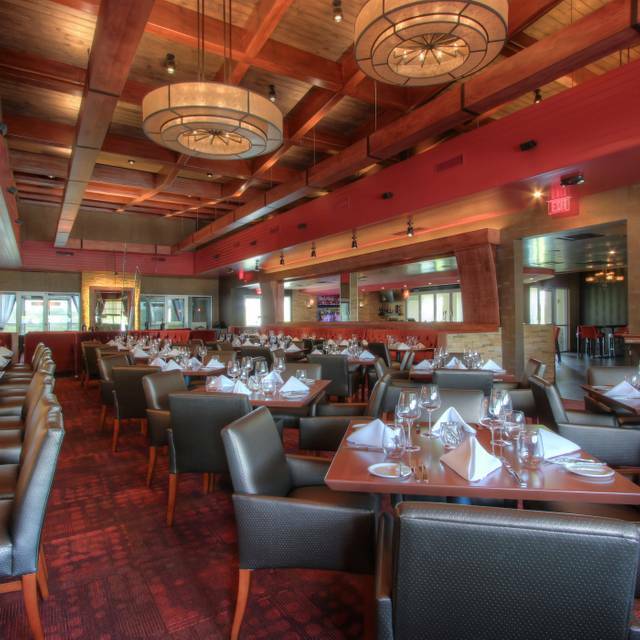 DC Prime is the premiere steakhouse in the Loudoun area! Always enjoy the wonderful service and great food. We had a wonderful Easter Brunch and my kids love dining here as a special treat! Outstanding meal amd service. Highly recommend. Only one small issue was that a smoking area behind the bar was a bit open and the smoke was slightly evident in the inside bar and restaurant. Wasn't terrible but hadn't noticed it on previous visits. Waiter recommended that "medium" was more akin to "medium rare" and "medium well" was more akin to "medium" for their steaks. However, we ordered one rib eye medium well, and it was medium well. We ordered a filet "medium" and it was medium. 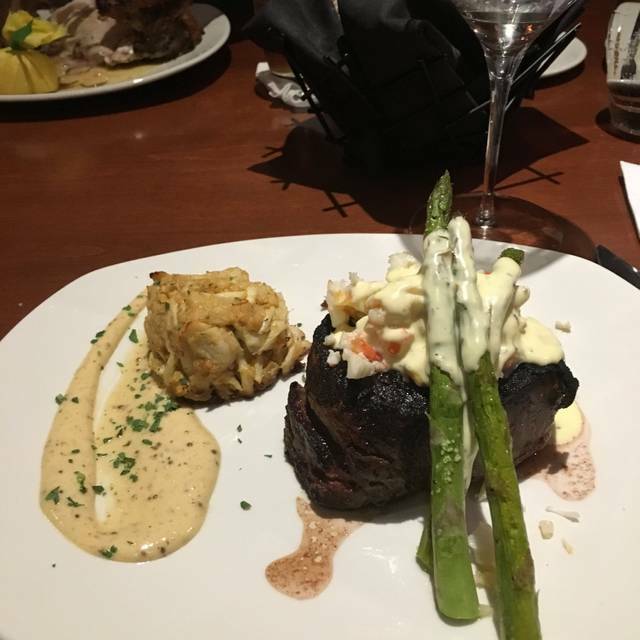 Steaks tasted great, but we ordered the filet with the truffle butter thinking it would be melted over the steak (or at least partially). The butter was a solid cold block of butter on the steak that never did really soften or melt--unremarkable at $8 for the patty of butter. Taste of steaks was outstanding. Spinach was great. Nothing special about the baked potato. Service great. Expensive though---$265 for two people --only alcohol was a single glass of house wine. An enjoyable meal. 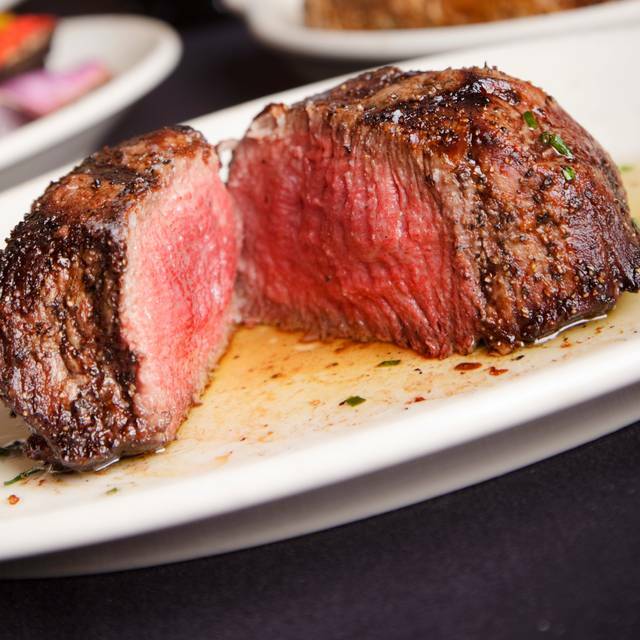 As a higher-end steak restaurant, it’s on par with its competitors. The prices are a bit high for the quality of the food. Service was attentive and well timed although the order was not deliver correctly (forgot this, undercooked that). The restaurant was not crowded and quiet on Friday night but there is ample seating for lots of people. I could imagine the place could be loud if even half full. There’s a bar which has several TVs. It was about half full. Parking is good and free. This was our first visit and we were excited to try a new “date place” for our wedding anniversary. We arrived to a great hostess greeting but ultimately left pretty disappointed. The highlight of our evening was a hard working waiter Stu. He was knowledgeable and a solid pro. Unfortunately he was let down by perhaps the slowest upscale kitchen in northern VA. Our apps took nearly 25 minutes to arrive and it only got worse from there. My wife had the pumpkin swordfish from the specials, and I likewise had the bone in filet, also a special. These dishes took every bit of 60 mins to arrive from time of order, (and 90 mins after arrival) and the beef arrived somewhat cool. Stu the waiter apologized multiple times throughout the evening for slow food arrival, but clearly this was beyond his control. Worth mentioning there were plenty of open tables and for a weeknight the place seemed slow. In terms of taste, the swordfish was tender with good flavor. Unfortunately my wife had pretty much lost her appetite and we took majority home. The filet was very average, and candidly at $79 one of the most over-priced cuts I have ever had. That is was late and barely warm really made it a major disappointment. Sides were solid, brussel sprouts and loaded potato, but for a $275 meal they should be. Would have been nice to be offered a free drink for the extended wait, or even a visit from manager but it was us and Stu. 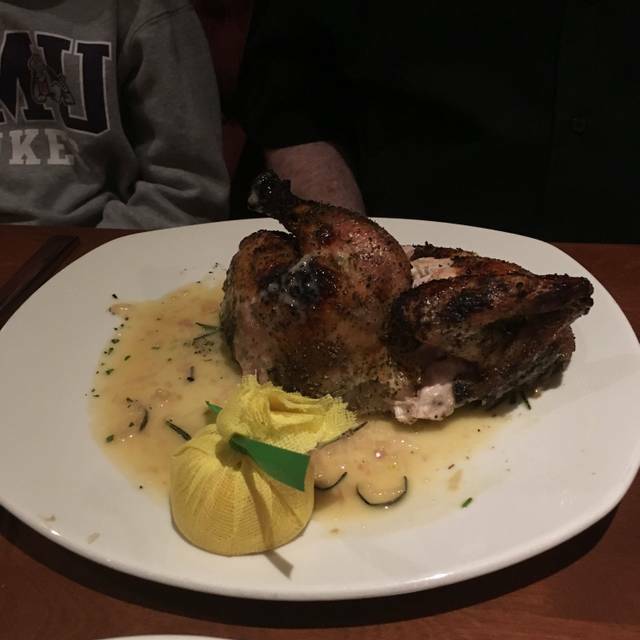 While I would like to say we will try again, Coopers Hawk is half the price, and Morton’s and Mon Ami never seem to disappoint. Sorry DC Prime, had hoped you would be better. Where do I begin? Second time to this restaurant. First time was decent. This time, not so much. Let's start out with the fact that nobody came to our table for nearly 15 minutes. My husband and I were ready to walk out. Finally, someone came up and indicated that they had just been informed that our table was assigned to him. The server was very apologetic (probably not his fault, but management's). In fact, what appeared to be a manager donned in his managerial dark suit surveying the room from the hostess stand looked in our direction numerous times, but apparently, he was not observant enough to see that we had our arms folded across our chests, a grimace on our faces, no water glasses filled, no drink in our hands, a table set for four with two people guest only staring down at the 3rd and 4th place setting, no bread at the table, no nothing. Frankly, clueless. He must have looked at us 6 times and did nothing. And like I said above, the server finally appeared. And I felt bad for him because he was probably unprepared to take on yet another table. He was pleasant at least. So let's talk about the meal itself. 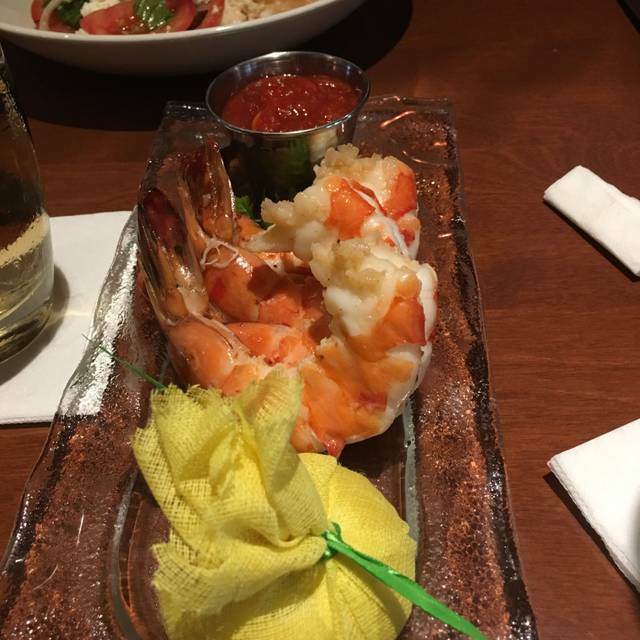 The shrimp cocktail was very good. And thank goodness it was, as my entree, the Ahi Tuna Steak was not. A) it was super cold, super fatty, and tasteless. B) the sauteed spinach was overwrought with garlic; a little goes a long way. My husband's steak was good; he had no issues there, but he too, was just so disappointed in the service in general. And for the whopping price of two appetizers, two entrees (we brought our own wine - $35 corkage fee), it was still 200 hundred dollars. That's substantial for sub-standard service and mediocre food. I often have said that I would rather have great service and mediocre food, then terrible service and great food. Dining out should be a pleasant experience and not meant to make you feel as though you are invisible or imposing. Will not give them a third try. The food is excellent, and you get plenty of it. I ordered a salad and it was enough for 4 people! Our server, Stu, was perfect. But the prices! I won't go here often because it's just SO expensive. $39 for a single lobster tail, for example. The side dishes are big enough to share with 4+ people. I had a crab cake which was delicious and moderately priced. Someone else ordered scallops, and it came with a huge bowl of pasta, mushrooms and cream sauce (none of which was listed on the menu) - if I had ordered that dish, I would have sent it back because I don't do dairy. So, ask lots of questions! Drinks are also too expensive. It's a little noisy, but tolerable - we had to raise our voices for the older folks at the table to hear us over the restaurant noise. But it's definitely worth trying, just bring plenty of money with you! Great steak house. Professional staff. I always come back for more. Better than the first time I went. This time the server was more attentive. Steak was good, as well as oysters and crab cake. Side accompaniments were too salty. Dessert was fine. People at the bar were a bit loud, and also they were allowed to smoke so beware of smoke smell. 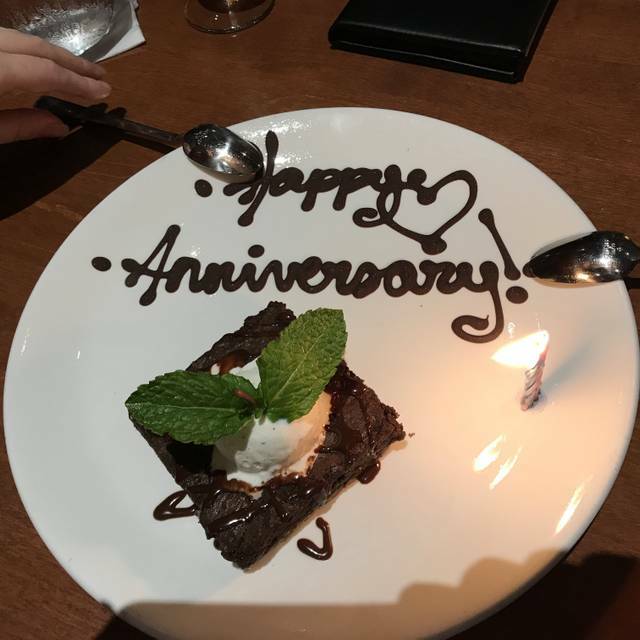 We made our second visit to DC Prime to celebrate our 47th wedding anniversary. We were greeted at the table with complimentary champagne to toast and our visit stayed excellent from that point on. Food, steaks for us seafood and steak for our friends was superb. Even better was that they came through with a bordelaise sauce that I had called ahead several days earlier to request. Fantastic! Our waiter was attentive without being intrusive and very knowledgeable about menu selections. I absolutely recommend and we look forward to a return visit soon. Love this place! Food and service is always amazing. Overall, the experience that we've grown to expect from DC Prime - top shelf. Our server, Stu, was absolutely fantastic! He was curteous, professional, knowledgeable and very attentive. We could not have asked for better. Outstanding food and service! Fantastic steak! I have been here twice and the steak (filet mignon and Waygu(sp?) respectively, fantastic eating!.. Calamari was less stellar than expected( too much breading-hides the squid taste in my ipinion)-- sides are tasty and shareable!... Server ( forgot her name)- she was my server both times-- very nice - attentive and personable! Food was fantastic. Service was great. Cool and swanky decor. The place to go for steaks in Loudoun. We had a fantastic dinnerv with two friends we hadn't seen in months. Great food! Another delicious dinner with very good service ! We sat close to the kitchen and didn’t notice any smells or fumes from the ( cigar ) smoking area. 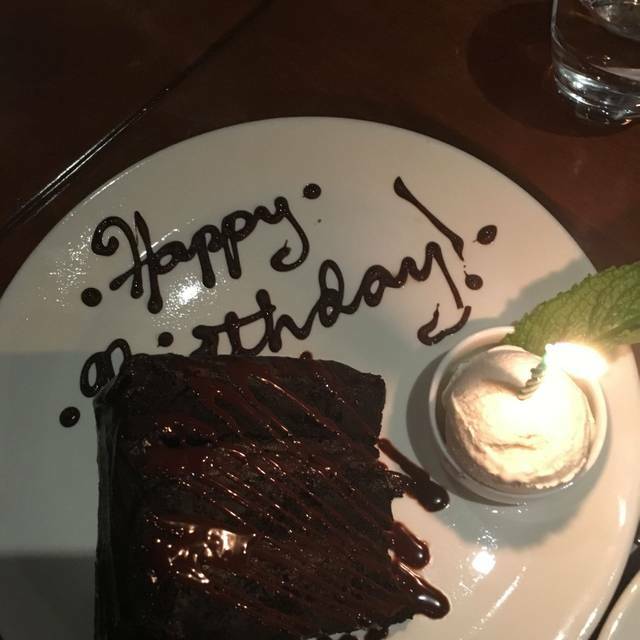 Thank you DC Prime , we look forward to our next meal ! Awesome food, relaxed and unrushed experience. Great drink selections. Arrived early & was seated immediately. The staff was courteous and provided excellent customer service. We had an enjoyable night. The experience was neither good nor bad. We found the service to be exceptional but the food was not spectacular for the cost. The steaks were cooked perfectly, but we were simply not a fan of the Pittsburgh style cooking. While this establishment is closer to home, I think we will continue to venture out to Arlington and Washington, DC for steaks going forward. Son’s 20th birthday- 7 of us total. A winning experience on every level. This place is AMAZING! When my fiancé and I first went we had the BEST waiter not sure his name but he has a beard and let me tell you he knew his stuff! Ever since then( which was a week ago) we have been back twice and have another reservation this weekend. 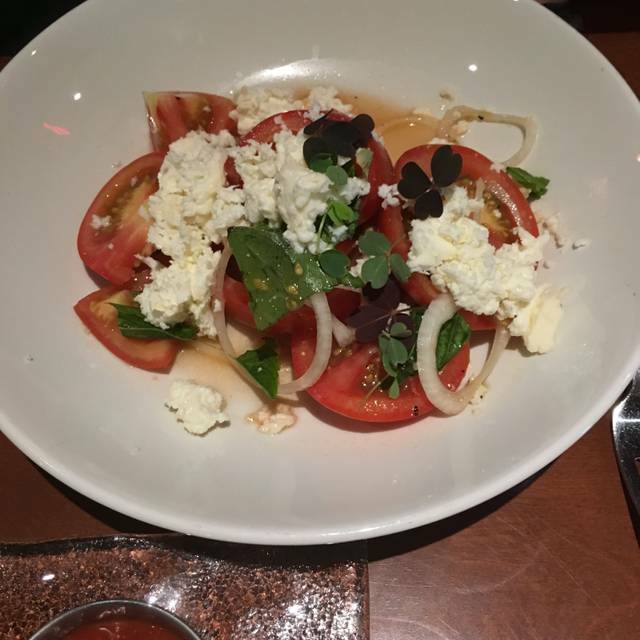 The food is great the service( from my favorite server) is amazing as well as the atmosphere. I would highly recommend this place! Oh wait not to mention the Waygu, totally to die for!!!! Top rated in my opinion. We celebrating a special occasion and we arrived there, we were treated 1st class!!! Prime is not a word I would use to describe their ribeye. I’m sure it was choice. It wasn’t over cooked but it was dry. Flavor was uninspiring. Would definitely not go back. Noms beyond belief! Nick was an excellent server! Our reservation was for 815 and we weren’t seated until 840. Our salad came out after our entrees. My tuna had muscle and fat prohibiting being cut in places. Pretty disappointing. Had a wonderful dinner with family. Rick was our waiter and delivered excellent service. Everyone very much enjoyed their dinner selection. We will definitely be back. We had a nice business dinner on a Tuesday evening. The food was amazing and the wine selection was great. While the noise level was noticeable, we had no problem talking business at our booth. Our waiter was just the "right amount" of attentive and offered great suggestions. I would definitely go back! Ask for Brittany, best server hands down!! At the bar ask for Chelsea, then say Scott said to ask: “for your favorite Bourbon! !” She’s an expert!! I have been to a number of good steak houses around the country, including DC Prime, before. However, the Drunken Wagyu special this past week was out of this world phenomenal. When i finished, i had to use every bit of self restraint not to lick the plate. 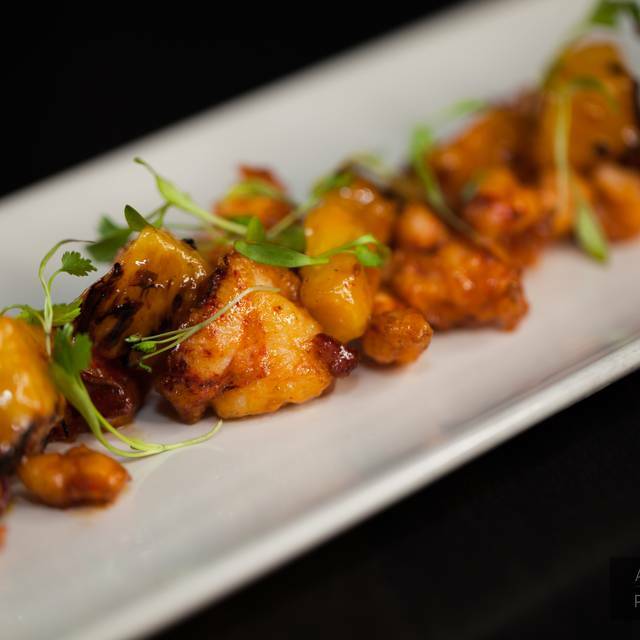 That being said, it is by no means abnormal to have a great meal at DC Prime. Every meal here is quite delicious and the staff is personable and friendly allowing you and your party the perfect dining experience. Food was average. NY strip is not worth the money. Average steakhouse at best, barbecue shrimp appetizer was very good. Our waitress fell short on forgetting salads. It was a birthday celebration and they brought out a happy anniversary cake. I was too embarrassed to acknowledge the fact that she messed up the celebration. Please pay attention to details. It’s really telling when your waitress really doesn’t care about the customers experience. Unacceptable for the price points. Food and service were great!! My husband and I shared the bone in ribeye steak and it was delicious!! Food was good, but not worth the price. Add-ons were not specified, but added to the bill regardless. Aside from that the atmosphere was pretty nice for most tables, ours was facing the kitchen but most other tables would be fine. The drinks were pretty good too, but also crazy expensive.